Before we go into detail with this mini forecast, it should be understood that this is far from a full picture of how the transits and progressions are lining up with anyone with their sun in Aquarius and your full natal chart. This post is a very general summary for all individuals with their Sun in Aquarius. Other combinations within the Astrology chart can and will dilute this information or can actually enhance it. We will be touching on three aspects. Two of these aspects will only involve those with their Sun in Aquarius between 15 or 16 degrees to 29 degrees (so those born in the second half of the sign). The first aspect we will discuss, Transiting Mars, will affect all individuals with Sun in Aquarius at some point in the transit, which will end on March 17, 2018. Mars is currently in the sign of Sagittarius, often suggesting a push towards higher learning, philosophical pursuits, religious inclination and optimistic life approaches. 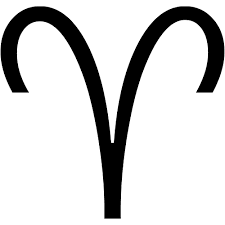 Mars is aggressive in its pursuit and when in the fire sign of Sagittarius cam willfully insist on pursuing whatever this path maybe that any Aquarian is choosing to follow at this point in time. When in sextile (a 60 degree aspect), the energies are opportunistic and very favourable. When involving the Sun, it may be time to advance the approach with a little more vigor and rest assured unless there are other factors in the chart offsetting this placement, the opportunities for advancement are much more influential than they would any other time. This is a favourable aspect if this Aquarian individual chooses to pursue it. The house the natal Sun is in and the house being transited by Mars will be the areas of life that are affected. The energy and drive will be directed into the house that the Sun is residing in. Also have a look at where the Aquarian’s natal Mars is located as this will give them hints as to how the energies might play out. Some of their goals especially those they have had in the back of their mind have potential for growth at this time. Jupiter currently (January 2018) is in the sign of Scorpio. Because Scorpio is three signs away from the sign Aquarius, this angle between Jupiter and the Sun is a square. This square indicates some challenging conditions along with the favourable potential brought on by the Mars aspect previously mentioned. In most cases a square (90 degree aspect) indicates some strife, some challenge, as well as some obstacles to overcome. However, Jupiter, known as the most favourable planet in the horoscope, nearly always offers perks in some form or another. The energy may suggest some challenging conditions along the way in reaching these goals, but Jupiter also suggests that if the Aquarian follows their instincts and does this in through proper channels and hard work, the potential for achievement is enhanced. Jupiter insists that things are done on the up and up. Some struggles along the way can be anticipated but the final outcome looks promising. Aquarians will be affected by this transit between Jupiter and the Sun if their Sun is between 8 and 29 degrees in Aquarius. Jupiter will go into retrograde on March 9. It will be at 23 degrees (so it will not affect those with their Sun in the very early degrees as mentioned as transits have a range of influence of about 5 to 7 degrees when approaching a planet or an angle in the birth chart and about 2 to 3 degrees while separating from the planet or angle). While Jupiter is in its retrograde cycle, its energies are somewhat harnessed. Jupiter will stay in retrograde from March 9 until July 10, 2018. During this retrograde period, it will move from 23 degrees back to 13 degrees so if you have your Sun in these degrees it will pass over that particular degree and then pass over it once again when it goes direct. The energies are enhanced when Jupiter passes close to the degree of your Sun and then will be at its peak when it directly (same degree) hits your Sun. Jupiter will remain in Scorpio until November 9, 2018, when it moves into Sagittarius. We will continue our mini forecast for Aquarius on Monday, January 29.